Let our commitment to creativity and quality turn your space into the place everyone wants to be. 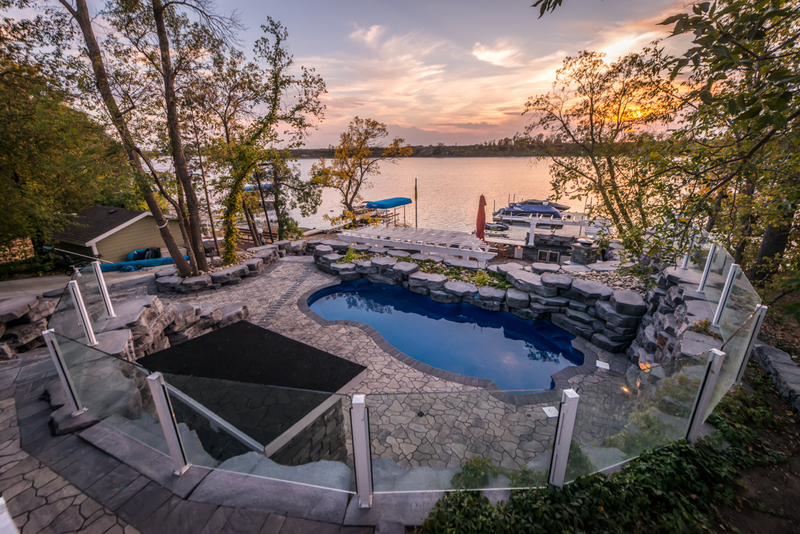 Set your residence or business apart by choosing Rock Solid Landscaping for your next project! Let's make something awesome together. 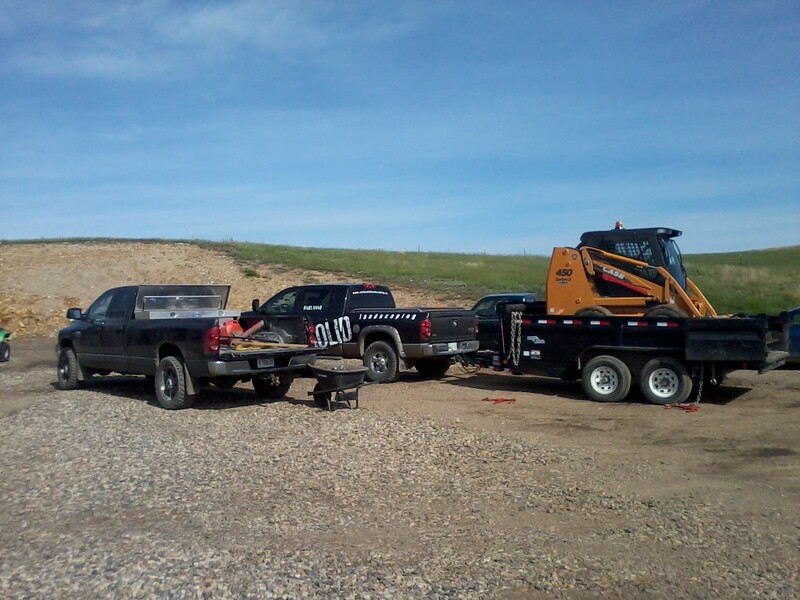 Family owned and operated, serving Southeast Saskatchewan with operating locations in Estevan and Regina. Everything you would expect from a comprehensive landscaping company, and a few specialties that you may not! Check out what we can do for you! Grading, levelling, demolition, augering, our experienced operators are ready to go with multiple sizes to match the job. Sidewalks. Driveways. Floors. Footings. Retaining Walls. Curbing. Exposed Aggregate. Commercial and residential cleaning & hauling, when the white stuff falls, we answer the calls! No one does it better than us. Traditional, customized patterns, colours & textures, let us transform your space! From flowerbeds to engineered retaining walls, no wall is too big or too small for Rock Solid. Supply/Delivery/Install. We do it right. Everytime. Whether outside or inside, we can install a fireplace that will bring you warmth, joy, and ambience for years to come! Vinyl, composite, wood, stone, and any combination of each, let us build your sheltered space. 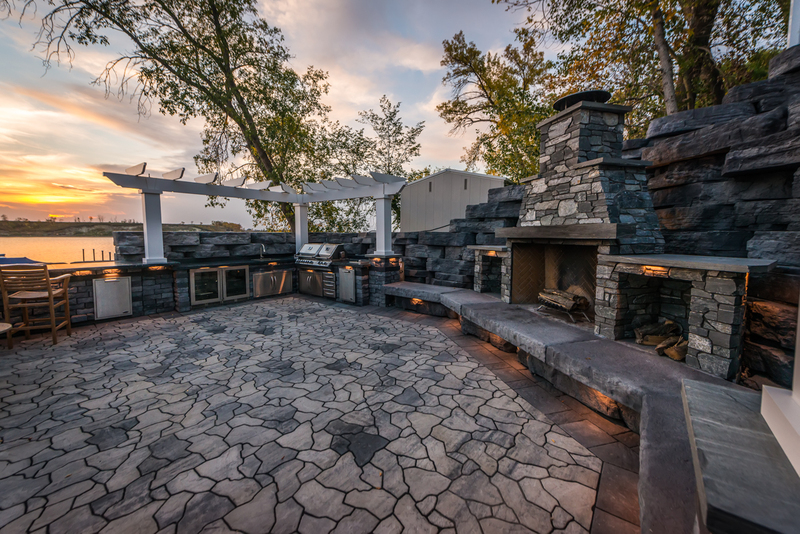 Indoor and outdoor stonework, walls, fireplace surrounds, backsplashes & more. Professionally designed sprinkler systems, designed to sufficiently and economically irrigate. We also do fall system winterizing. From custom pool houses to man-cave garages, we have you covered from start to finish. Offering a variety of products & styles, see how stairs from Rock Solid can change your property. We have years of quality projects and we're thankful to have worked with many wonderful clients on hundreds of landscapes. Here are a few of our favorites! Rock Solid installed pavers in my backyard patio and poured a concrete pad for my hot tub. Incredible work done by an incredible crew. © Rock Solid Landscaping. All rights reserved.